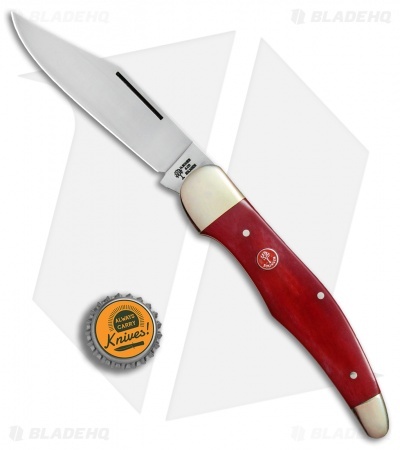 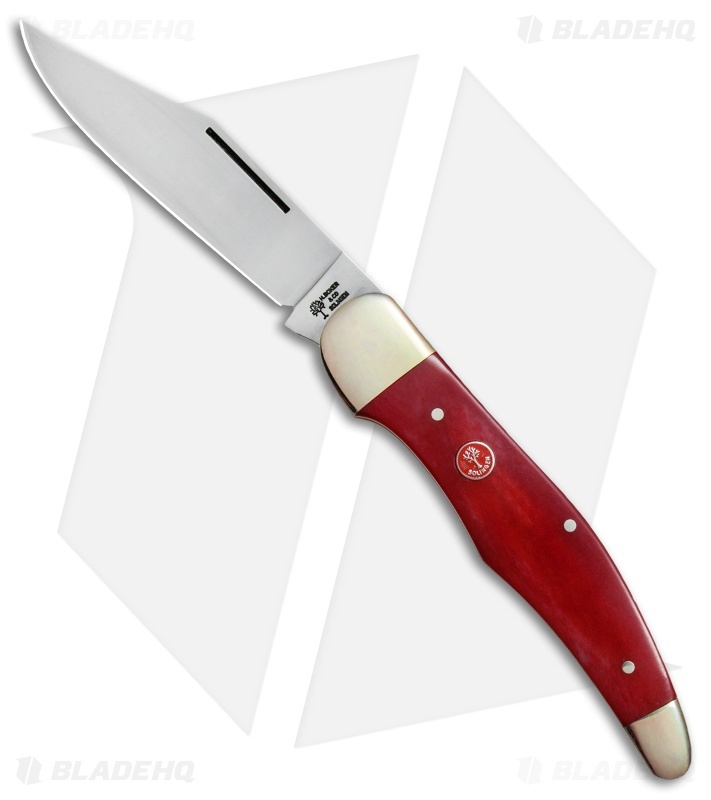 This Boker Hunter model is outfitted with a smooth red bone handle and a satin finished clip point blade. 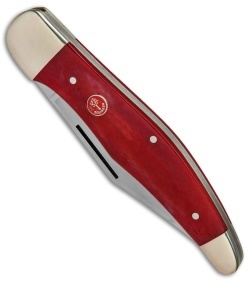 The Boker Tree Brand Hunter offers a traditional pocket knife style with a sturdy lockback design. It has a large clip point blade made from Solingen carbon steel with a Boker Tree graphic. 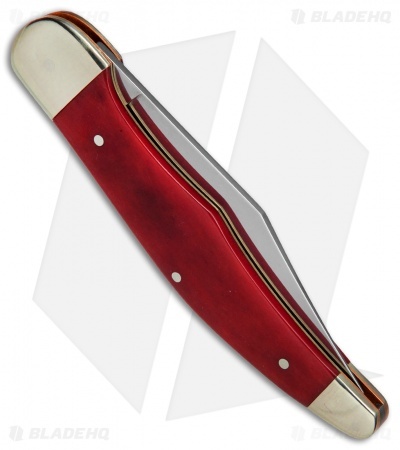 The handle showcases nickel silver bolsters, brass liners, red bone scales, and a Boker tree medallion inlay. Add a classic pocket knife design to your collection with the limited edition Boker Tree Hunter.